The Friends of the Soldiers Home’s 5th Annual Spring Fling is scheduled for May 6th this year. See flyer below for more details. 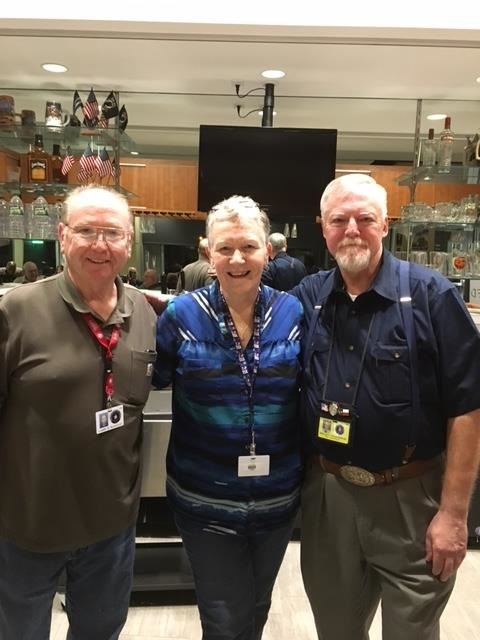 It wasn’t just ‘cool’ outside for this month’s version of Saloon Night at Armed Forces Retirement Home-DC. The incredible singer Elin, accompanied by Leo Garcia on piano, showcased cool tunes for the packed crowd. Both residents and volunteers soaked in the multi-lingual music, stories and drink. Friends of the Soldiers Home is proud to put on this monthly event, and FOSH volunteers always have a great time. Join us next month! The next Saloon Night will be April 4. Write Lori Lincoln at volunteerfriendsofsoldiers (at) gmail (dot) com to be part of the fun. The monthly Happy Hour was extra special on Feb. 28. Friends of the Soldiers Home was honored to participate in a special presentation by the Nam Knights Capital Chapter. The Knights presented an iron works display to the Armed Forces Retirement Home that has become a permanent decoration in the Defender’s Inn on campus. 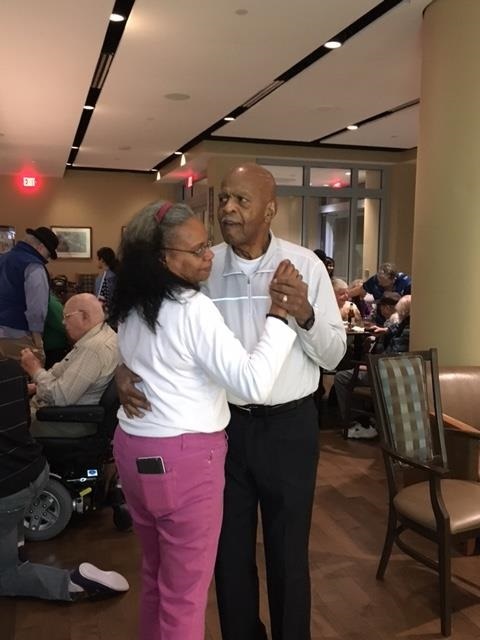 Friends of the Soldiers Home, Nam Knights and AFRH staff have been long-time collaborators on the monthly Happy Hour event, which features food, drink, trivia, joke telling and plenty of volunteers who socialize and mix in with the residents. 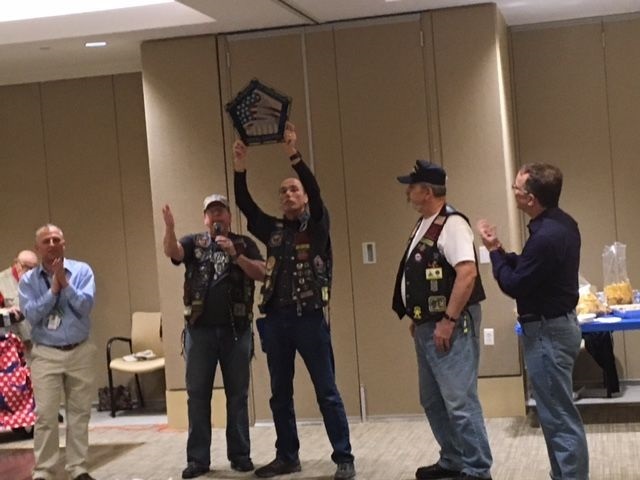 FOSH is grateful to the Nam Knights for making us part of the special presentation!